Welcome to your favourite hotel mukund palace conveniently located at junction road, mathura. Mukund palace is a royal brand in the hospitality segment in this region for last 15 years and offers the best services as per the standard norms. We are the only hotel in mathura which has got ample parking space for your special events. 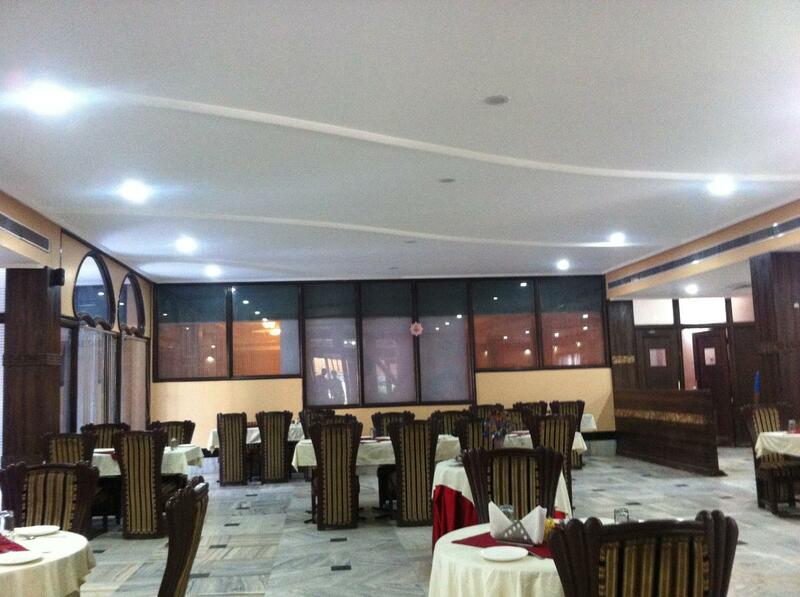 Hotel Mukund Palace is a property known for its quality services and fair and economical pricing. The hotel has earned a name for itself in the city from the time of its inception. It has catered to guests from all over the country and of all types. Guests on leisure trips as well as those on business, both find all their requirements well met at Hotel Mukund Palace. Not only does the hotel boast of neat and stylish architecture but also of its professional yet warm services. The hotel aims at providing all the services required to the guests to cater to a more than satisfactory stay here. Currency Exchange, Banquet Facilities, Restaurant, Family/Child Friendly, Conference Hall, Audio-Visual Equipment, Parking, Doorman, Major Credit Cards Accepted, Laundry Facilities. H/C Water, Air Conditioning Room, House Keeping, Telephone, Cable/Satellite TV, Desk, Attached Bathroom, Safe In Room, Television Room. Banquet Facilities, Conference Hall, Laundry Facilities, Parking, Restaurant, Room Service. User reviews for "Mukund Palace Hotel Mathura"